Find phlebotomy training classes in Missouri below! To be successful in the St. Charles Community College phlebotomy training course, and in this healthcare profession, students must have a genuine passion for working with the general public, inclusive of all ages, as well as a working knowledge of the safety procedures and strict guidelines within the medical industry. This course, specifically, is designed to prepare phlebotomists-to-be for entry-level positions within this career field. After graduation from this program, graduates are encouraged to sit for the national phlebotomy certification exam. Passing this exam grants new phlebotomists the legal right to seek work in a plethora of nationwide medical facilities. The St. Charles CC phlebotomy training program consists of two parts, beginning with online classroom lectures and on-campus lab studies for pre-selected weekdays. Students will learn the basics of phlebotomy, and are expected to complete 120 clinical hours of hands-on practice at an approved medical facility – in addition to classwork and lab practicum. Location: 901 E. 104th St. Lab studies, classroom lectures, and hands-on clinical experiences are crucial in the training of new phlebotomists. Designed to assist healthcare newbies with breaking into a reputable medical profession, Saint Luke’s Health System offers an innovative, fast-paced phlebotomy training program, tailored to preparing students for the national phlebotomy certification exam. This exam, if passed, grants new phlebotomists the right to seek employment at medical facilities nationwide. Most patients see the drawing blood part of a phlebotomist’s responsibilities, when in actuality, phlebotomists are responsible for processing, transporting, following strict safety procedures, infection control, upkeep of patient health histories, blood diagnostics, other specimen collections, and compassionate, interpersonal communication to diffuse patient anxieties. This particular phlebotomy training program breaks the learning process into several classes, teaching phlebotomists-to-be the required, aforementioned traits and responsibilities to succeed in this profession. The decades have seen phlebotomists skyrocket to some of the most significant spots in the health profession. Their dedication and hard work prove that helping others is an innate trait, one that phlebotomists-to-be should have and hone before delving into this medical career. Moberly Area Community College gives medical profession hopefuls a proverbial foot in the door with a phlebotomy training program that teaches the basics of phlebotomy, interpersonal communication, and healthcare safety guidelines. Consisted of two 2-credit classes, each 8 weeks long, this phlebotomy training course places a great deal of focus on patient health and happiness. Most patients come in for bloodwork, and their anxieties make it difficult to get the samples that doctors have requested. Phlebotomists are responsible for easing patient anxieties, using compassionate, caring techniques to diffuse fear and nervousness. Those who complete the MACC Phlebotomy Training Course are welcome to take the national phlebotomy certification exam to become full-fledged phlebotomists, capable of working in a variety of nationwide medical facilities. The role of phlebotomist has skyrocketed to a high demand medical position over the last decade. Phlebotomists are more than healthcare professionals who draw blood and process bloodwork. These are trained, well-versed medical staff members, capable of talking down nervous, anxious, or fearful patients. These compassionate healthcare professionals are also skilled in the basics of phlebotomy, including medical terminology, simple medical procedures, infection control, specimen processing and collection, and lab blood draw techniques. The OTC Phlebotomy Training Course uses an innovative approach to spread knowledge of the aforementioned phlebotomy must-knows. Their course is comprehensive and extensive, inclusive of classroom lectures, lab studies on campus, and externships with approved, local medical facilities. After graduating from this course, phlebotomists-to-be are encouraged to sit for the national phlebotomy certification exam. If passed, this exam opens the proverbial door to a plethora of work opportunities in national healthcare facilities. Notable as being some of the most important personalities on a medical team, phlebotomists are high-demand commodities in the healthcare field. As medical careers and healthcare needs grow and expand, those interested in delving into healthcare are finding training and knowledge through learning and hands-on experience from St. Louis Community College. 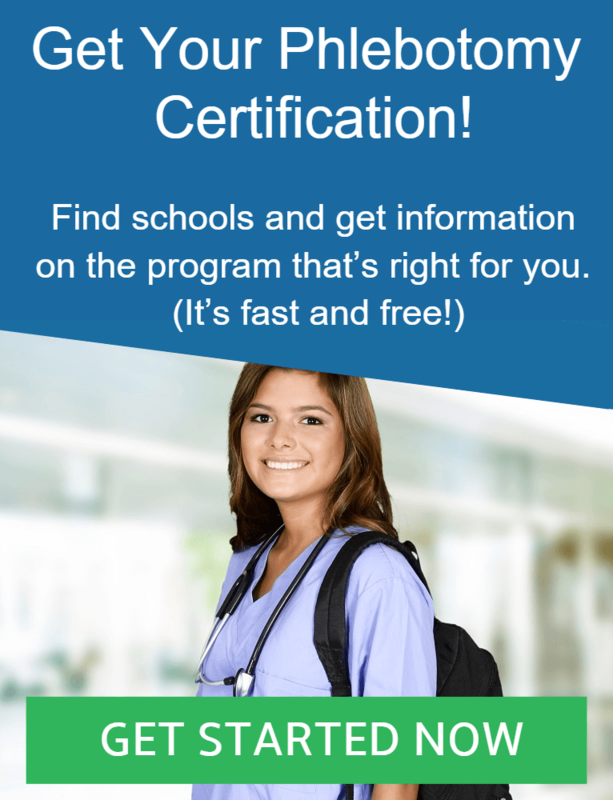 This college offers a phlebotomy training program that touches on the basics of phlebotomy, medical terminology, infection control, anatomy and physiology, bloodwork processing, and blood draw techniques. For eleven weeks, students who enroll in this phlebotomy training course will meet three times a week for classroom lectures and lab studies. Each session is three hours long. In addition, students are required to complete 120 hours of clinical practice in an approved, local medical facility. To ensure phlebotomists-to-be receive the best training possible, STLCC enforces strict policies on regular attendance. There are rooms for emergency absences, of course, but students are expected to be diligent with their training.